A top Pakistani official has conceded that Pakistan is still serving as a safe haven for “some” members of the Haqqani Network, a jihadist group the American military believes poses the greatest threat to U.S. forces and their allies fighting in Afghanistan. Earlier this year, American Gen. John Nicholson, the top commander of U.S. and NATO forces in Afghanistan, declared that the government of Pakistan has failed to take “adequate” action against the al-Qaeda and Afghan Taliban-linked Haqqani Network, officially designated a terrorist organization by the U.S. government. Pakistan continues to refuse to take military action against the terrorist groups, revealed Pakistan’s Foreign Secretary Aizaz Chaudhry during an interview with the state-run Pakistani television PTV broadcast on Sunday, reports Voice of America (VOA). “The Haqqani Network is actually part of the Taliban. Most of their people are in Afghanistan, most of them, and some of them are present here [in Pakistan],” also admitted Chaudhry. The top Pakistani official claimed that Islamabad has been honoring its pledges of not allowing any jihadist group to use Pakistan for terrorist activities. 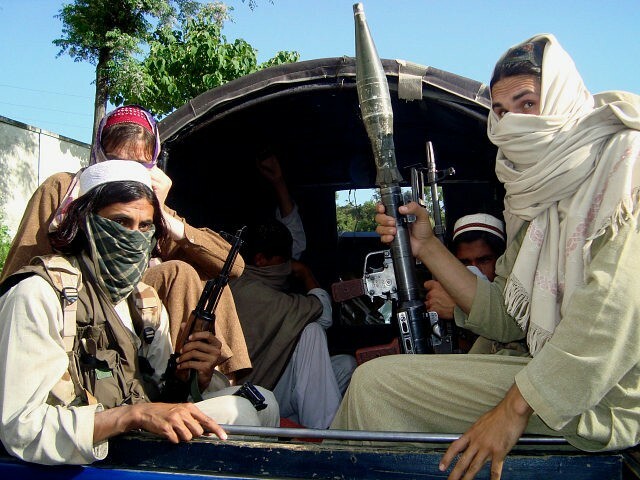 U.S. law has made some American military assistance to Pakistan contingent upon Islamabad taking demonstrable action against the Haqqani Network. As mandated by the 2016 law, the United States has stopped more than $300 million in military reimbursements to Pakistan for refusing to take adequate action against the terrorist group. Earlier this month, the U.S. Congress passed the 2017 NDAA, which includes $900 million in reimbursements to Pakistan for counterterrorism efforts aimed at securing its border with Afghanistan. The bill, echoing the language of its 2016 counterpart, has linked the release of $450 million of the allocated amount to Pakistan’s demonstrable steps against the Haqqani Network, including military operations to disrupt the free movement and safe haven of the group on Pakistani soil. Islamabad is putting ““incremental pressure” on Taliban and Haqqanis to persuade them to negotiate peace with the Afghan government, said Pakistan’s foreign secretary. The Pentagon and Gen. Nicholson have stressed that the Haqqani Network poses the number one threat to the U.S. military and its allies, including the Afghan National Defense and Security Forces (ANDSF), which includes police and army units. “Of the groups involved in the Taliban-led insurgency, the Haqqani Network remains the greatest threat to U.S., coalition, and Afghan forces and continues to be a critical enabler of al-Qaeda,” emphasized the Pentagon in its latest assessment of security conditions in Afghanistan. Echoing U.S. officials, Afghan President Ashraf Ghani has said that Haqqani terrorists operate out of sanctuaries in Pakistan, a charge that Islamabad denies. In a rare show of bipartisanship, both Democrats and Republicans have accused Pakistan, a U.S. ally, of lending support to terrorist groups. Two top Republican members of the U.S. Congress have introduced legislation to officially designate Pakistan a state-sponsor of terrorism. Not only is Pakistan an untrustworthy ally, Islamabad has also aided and abetted enemies of the United States for years. From harboring Osama bin Laden to its cozy relationship with the Haqqani network, there is more than enough evidence to determine whose side Pakistan is on in the War on Terror. And it’s not America’s. At the end of August, U.S. Secretary of State John Kerry urged Islamabad to join other countries in combating jihadists operating on Pakistani soil.